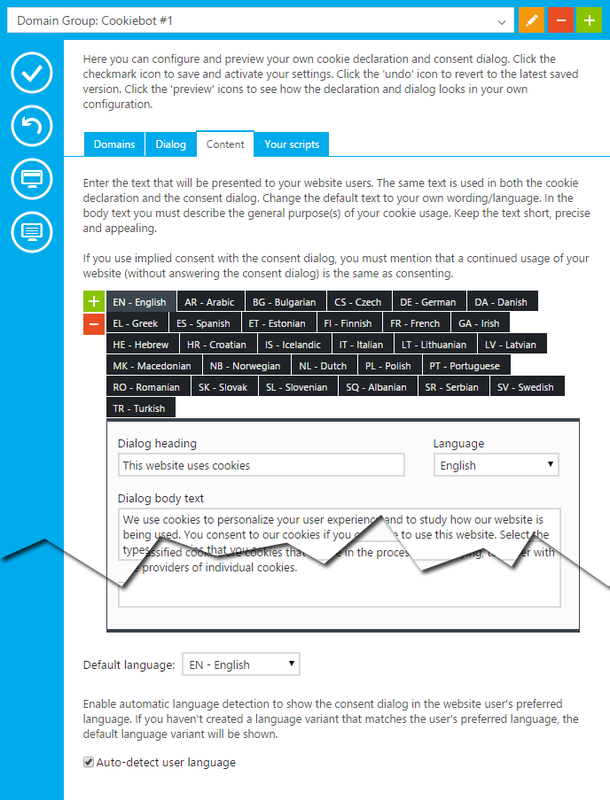 You can create an unlimited number of different language versions ("langauge variants") of the Consent Dialog under the "Content"-section in the Cookiebot Manager. Add a new variant by clicking the plus-sign next to the language tab. If you check "Auto-detect user language" in the Cookiebot Manager, Cookiebot will automatically detect the individual users preferred language and show the dialog in this language if you have created a matching language variant. If not, Cookiebot will show the default language to the user.